#1: Why do you need to use Instagram Hashtags? The Instagram platform from time to time makes different useful modifications, supplementing new functions or modernizing standard ones. This is especially true of the current year. However, even despite this, on Instagram, there is one thing that is always very relevant – the use of hashtags. 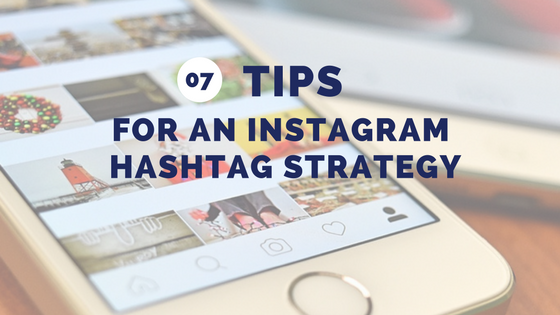 Hashtag strategy is an effective part of promoting any Instagram account. With their help, you get access to a large audience of this platform, opening up new horizons of different possibilities. Thus, depending on the focus of the hashtags you use, you can count on high user activity, increasing the number of your followers and even expanding your client base. However, it is impossible to say that Instagram hashtags have not changed at all. In the current year, users of this social network have received many new and practical hashtag functions, which allow not only to increase the target audience but also to better track users’ concernment. An Instagram business profile gives you the opportunity to analyze the performance of your hashtags as an efficient lever for getting more views or impressions of your posts. To access this data, you need to open your publication. Above the post itself, you will see “View Insights”. Click on it. You will see all the information about how many impressions there were, what the reach was and how the users got to your account. At the beginning of this year, Instagram gave users the opportunity to subscribe to hashtags. In other words, you can always be aware of events connected with diverse themes or communities that interest you. Now you can subscribe to hashtag as you would to a regular Instagram user account. After selecting the hashtag, you want to subscribe to, open the hashtag page and click on the “Follow” key. 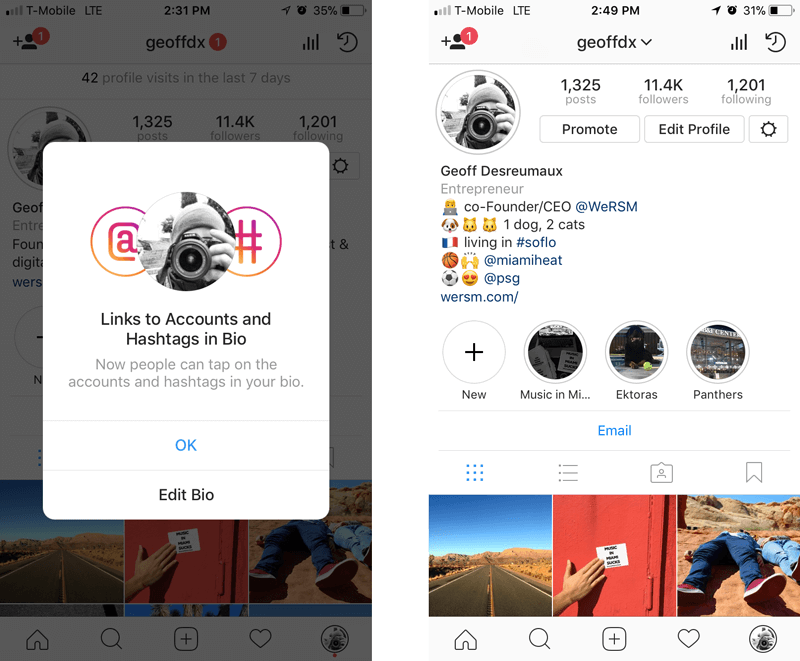 Instagram updates made it possible to add interactive hashtags and even usernames to your Instagram biography. 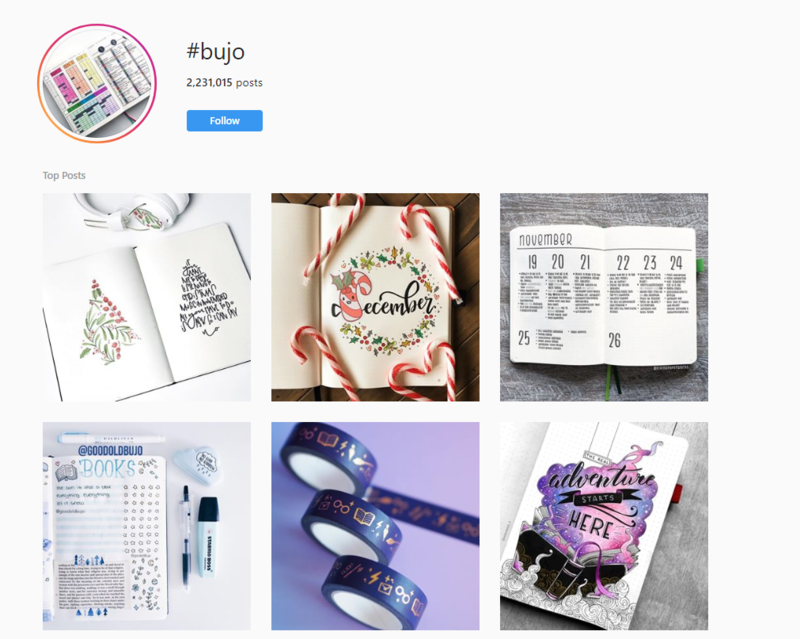 Due to this, your biography will be more functional since now you can use hashtags both to boost your Instagram community and to call attention to your own branded content. To do this, you will need to include “#” before any word in your biography, which will automatically become a clickable link. Thereby, even more users will see your content, driving in searching the hashtag you have used. 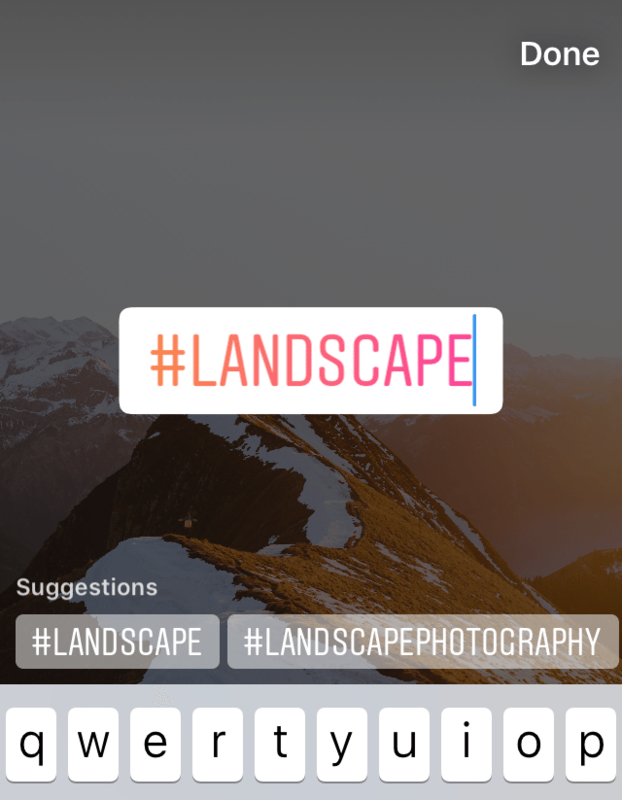 Using hashtags in your Instagram Stories, you get another channel of communication with other users. 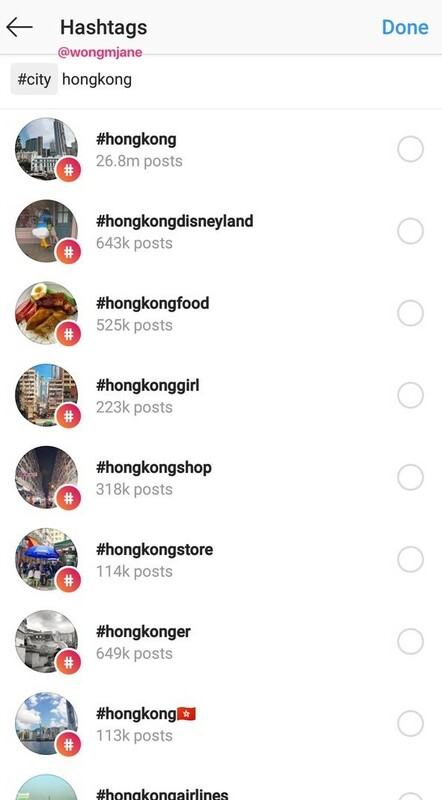 A large audience can see the content of your Stories because by adding hashtags to them, your Instagram Stories can be searched through the search page of the system. Users who will enter the hashtags you use in the search tape will be offered to view your Stories. They will be in the Stories line at the top of the page. #2: What is the principle of Instagram hashtags? The Instagram platform is intended for visual content, which in addition to a photo or video can contain a title, description, and hashtags (up to 30). Hashtags help classify and organize visual content into specific interest groups. They are peculiar catalysts in the process of searching the contents of publications. Thus, users can easily and quickly find what they like or what interests them, simply typing a word or phrase in the search. The Instagram system, in turn, will automatically generate a selection of photos and video content that involve this hashtag. A branded hashtag is an original and eye-catching word or phrase that clearly describes the essence of your business. Thus, it can be your company name, a short slogan, the name of one of your products or production lines. In addition, it can be a word or a phrase that has nothing to do with your specific product, but that is associated with your brand. 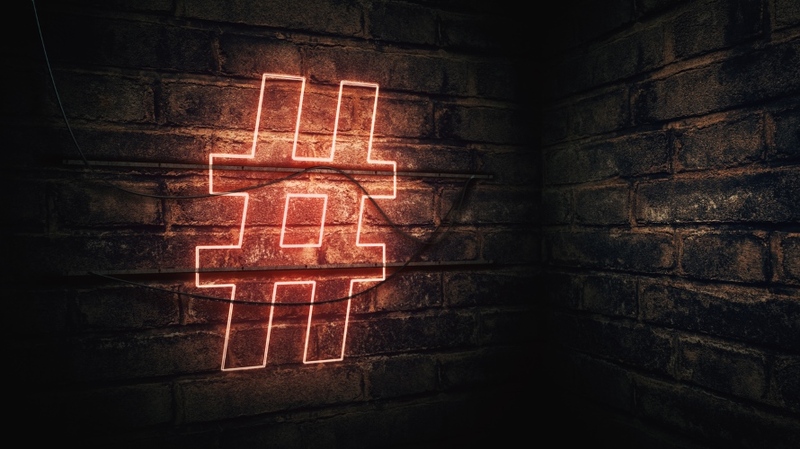 Unlike ordinary, branded hashtags set for the goal of expanding those that directly or indirectly are related to what will interest your target audience. By creating a branded hashtag, you give your followers the opportunity to take a certain cake on their platform, where they can share content with like-minded people who also use your services or products. Moreover, your followers will be able to advertise you, telling their followers about your brand. This is a kind of passive free advertising, as well as appreciation and trust from your customers. Community hashtags are similar to branded hashtags. They help users attain people having similar opinions. The main difference between these two types of hashtags is that they are indirectly related to your business. Their range of coverage is wider and less oriented. That is, for example, if you sell travel equipment, you can create a hashtag about comfortable and safe travel, and not about your brand. 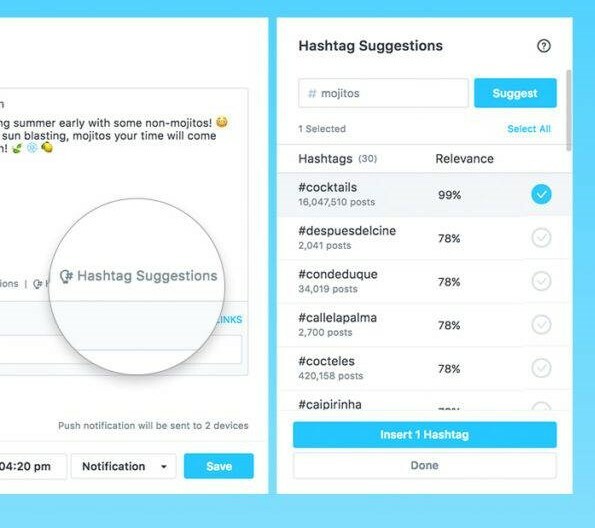 Thus, you will be able to collect a wider audience that will associate a hashtag about comfortable and safe travels with your brand, although they will not point it directly. The best way to create such a hashtag is to monitor existing hashtags that are popular with your audience. These hashtags are aimed at shorter distances – they use what is associated with a particular campaign of your brand. They are about short-term and seasonal things. This may be the attraction of a new partner and the launch of a new commercial product or a temporary service. 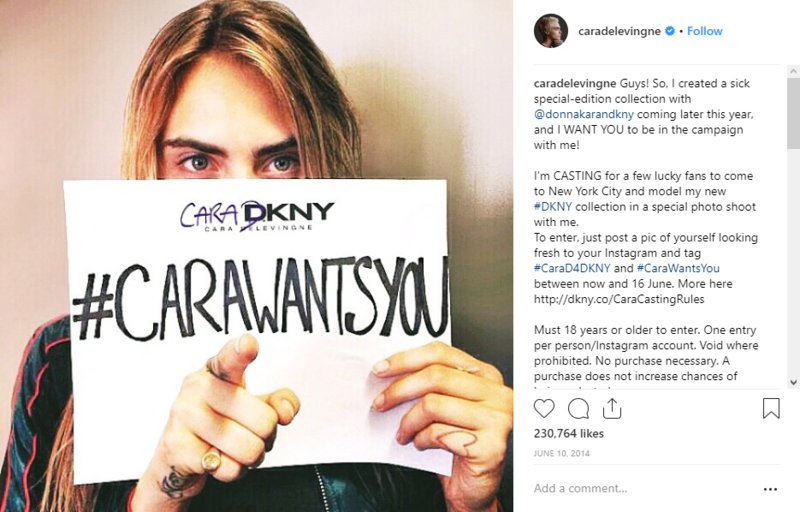 Campaign hashtags are used by enterprises to quickly reach a large audience in order to get a boom of user activity, after which the product’s advertising campaign will be terminated. This is an instant attraction to the brand with an attractive service, product or stunning news. Before you put a hashtag, think about its strategic goal. Try to think wider. Of course, using simple and popular hashtags is a very tempting offer, but they will not give you a guarantee of receiving a large number of likes and comments. Instead of the «popular» Instagram hashtags, give preference to hashtags that relate to some interesting communities that are similar in topic to your publication. 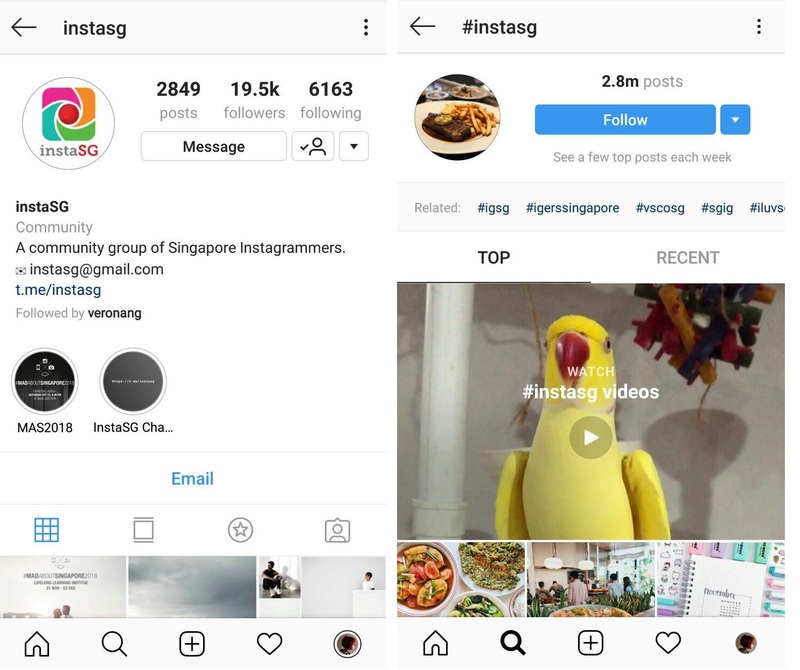 If you still decide to use unique, classy, original and community-oriented hashtags, then you will need to view Instagram hashtags that are interesting to your audience and that are already used by competitors in your niche or industry. Do not be afraid to use less popular hashtags, because they are able to attract more users. Try it and you will be pleasantly shocked by the effectiveness of using niche hashtags. To save you time searching for suitable hashtags, Later not long ago set in motion the Hashtag Suggestions feature. 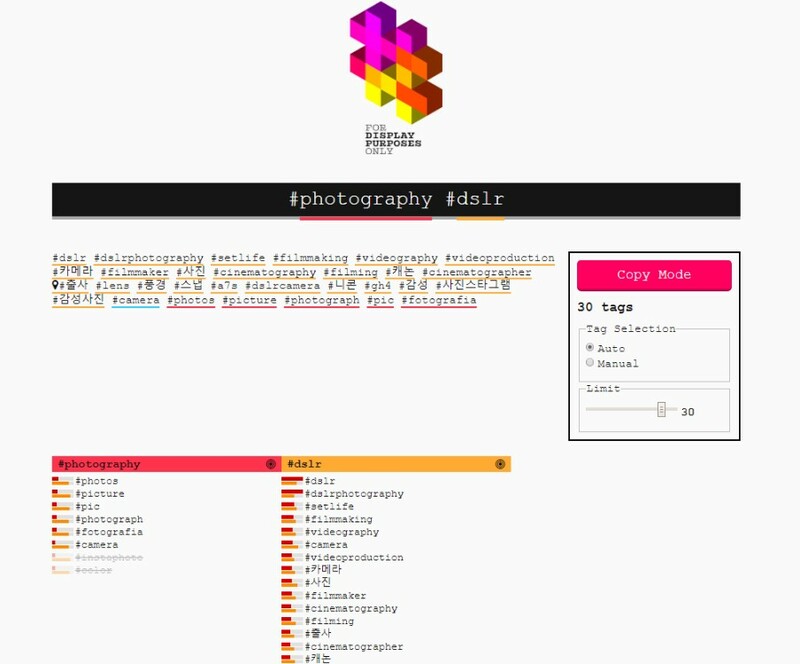 This tool helps you quickly find the best hashtags that are best suited for each of your Instagram posts. The function works in automatic mode. It makes a selection of hashtags that match your posts while taking into account other hashtags that you use. In the process of promoting your business, you can accurately identify one hashtag that suits you best. To avoid wasting time searching for other hashtags, you can use Hashtag Suggestions. To do this, you need to place your selected hashtag in the application and click «Suggest». The tool will automatically generate 30 other hashtags, picked out by appropriateness. From the list provided, you can choose a hashtag or several ones that you think are most appropriate and add them after the title or context to your publication. Avoid random hashtags that come to your mind. Take some time for this process and approach it from the other side. Study your audience more closely – find out which hashtags they often use and what they like most. Then select those that are suitable for your visual content. The hashtags that you insert into your publications should be relevant and contain the keywords that users are looking for. Inquire about which hashtags your competitors use, and which of them are popular with your potential audience. This way, you can find out which hashtags motivate their followers to show keen interest and high activity. Of course, it is not necessary that you use the same hashtags. 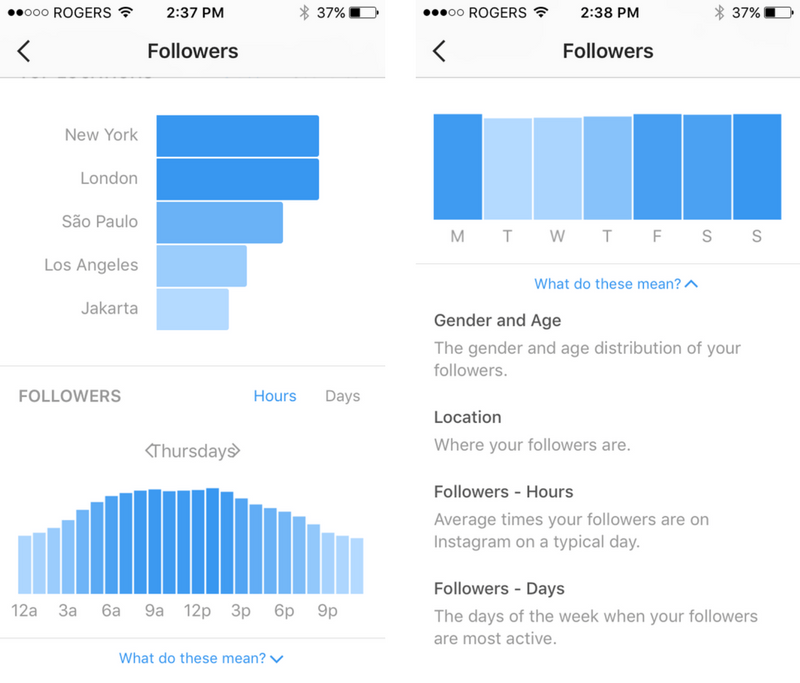 However, having received this information, you will be able to form a more accurate picture of the needs of the users whom you see as your potential followers or customers. In addition, you can significantly expand your base of effective hashtags. To select the most appropriate hashtags that will help lead the target audience – carefully study the pages that have already reached popularity in the industry that interests you. Having learned the key factors of their success and having reviewed the hashtags they use in detail, you can form a general idea of what strategy you should stick to and which hashtags will help you to achieve the desired result. Taking into account the success of influential people who fall into the same niche that you want to engage in, you get a better chance of becoming popular. You already know what your potential audience is interested in and will be moving in the right direction. 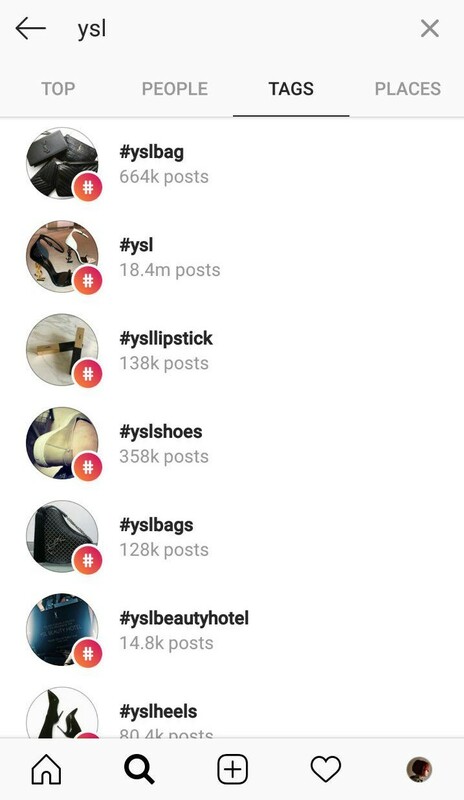 Driving hashtag that suits you as much as possible into the search bar, the Instagram system will offer you a whole list of hashtags in which the word or words that interest you are involved. You can study the list provided to you and better understand what other hashtags you can use. They will provide you with additional audience coverage, helping to expand your scope. You may not even have suspected the existence of such a wide variety of adjacent hashtags. In addition, you can experiment with hashtags that have already brought you success and you know for sure that they are effective. Thus, you will receive additional working hashtags, which in the result will double your positive effect. #5: What is the optimal number of hashtags recommended for use? Broadly speaking, there is no clear arithmetic how many hashtags you need to use. Some experts believe that you need to set the maximum number of hashtags, while others say that 5-10 hashtags will be enough. There are many different strategies regarding the golden rule of using hashtags, but everything depends on you and your goals. That is if you have the time and opportunity to pick up 30 mega-relevant hashtags that will fully correspond to each of your posts, then, of course, you should take advantage of this. However, if a large number of hashtags cause you discomfort, then you need to try using fewer hashtags. Do not be afraid to experiment. Try the search for interesting and original hashtags. This way you can better understand which hashtags and in what quantity will become your golden mean. #6: Which hashtags are best to use? In the process of selecting hashtags, be sure to consider the interests of your target audience. That is, you should take the time to attentively study your followers, decide on what the audience is more responsive to, as well as using which hashtags show the increased activity. Try to use different hashtags in your publications. This is necessary to avoid spam. Also, do not get carried away with trivial and simple ways of receiving a couple of additional likes using such hashtags as #likeforlike and those that have been used a million times. Of course, they will bring you some likes. However, they will not help you to become interesting, original and attractive. Replace popular hashtags with those that are narrowly profiled, but at the same time, clearly, describe your visual content. This will ensure that you have access to the maximum target audience, creating an ideal environment for the productive promotion of your account. As a useful addition, you can create lists of hashtags that will relate to the main topics and categories that you most often use. Do not forget to insert your own branded hashtag from time to time (only in cases where it is most appropriate). In this way, you will motivate users also to use your branded hashtag. 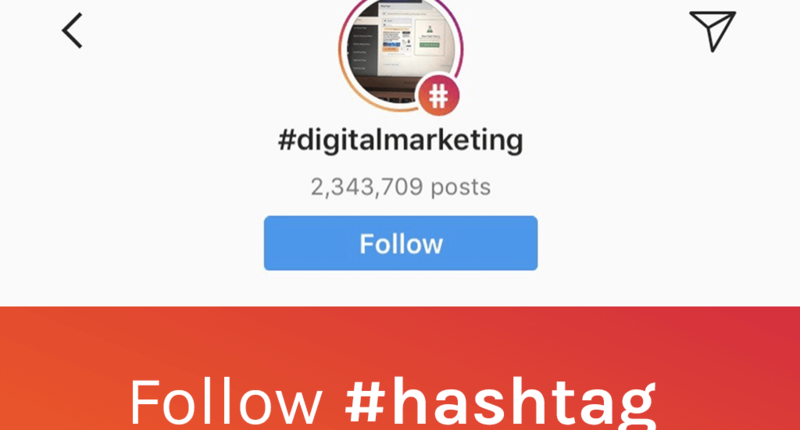 As already described above, branded hashtags are one of the best ways to actively interact with your followers and expand the reach of your audience. They make your content more accessible to a wider audience. Your fans and regular customers will have the opportunity to share their impressions about your product and services, tell your followers about you and leave their feedbacks that you can then easily track and study. relevant and original, so that users can quickly remember it and want to share it. Interesting, funny branded hashtags with high semantic load or deep subcontext are also very good. Such hashtags bump into memory very well and leave a pleasant impression. They can also cause some kind of associative array, thereby distinguishing your business from others. Thus, users who accidentally see a product or item that is indirectly associated with your brand will only be associated with your company. Perhaps this is exactly the effect you are counting on. Branded hashtags are needed to increase your brand awareness, gain appreciation and popularity. They will be a kind of demonstration element that attracts user attention. Nevertheless, these are not the only advantages of using branded hashtags, as well as not the only ways of their practical application. Branded hashtags can significantly enhance any marketing strategy for promoting your Instagram account.